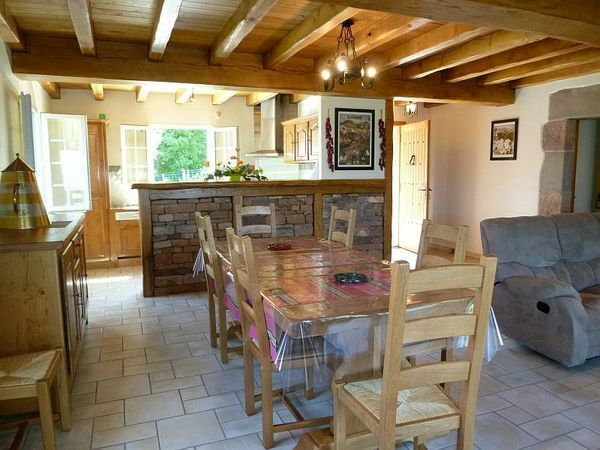 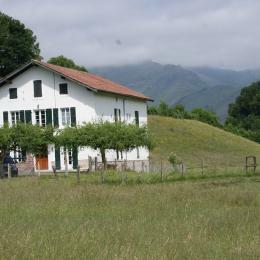 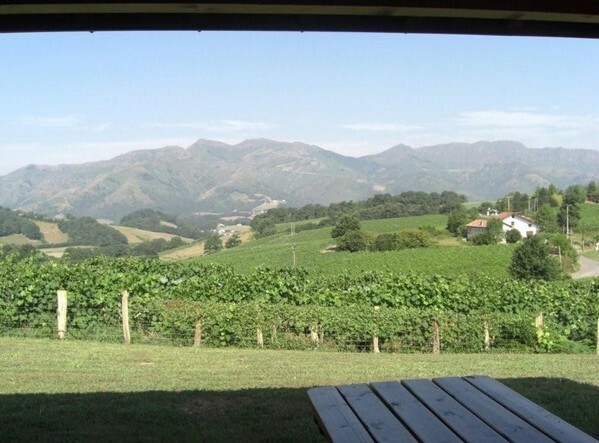 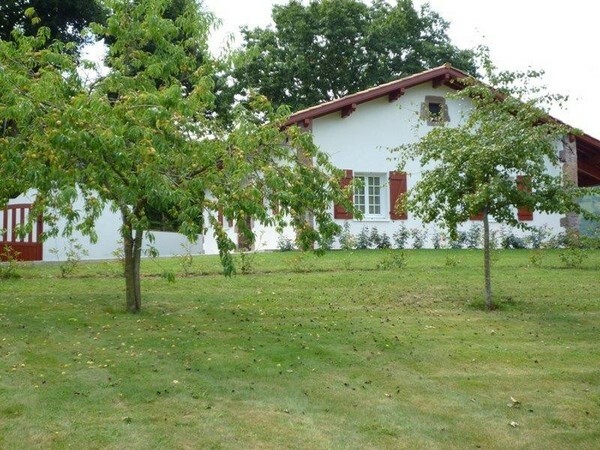 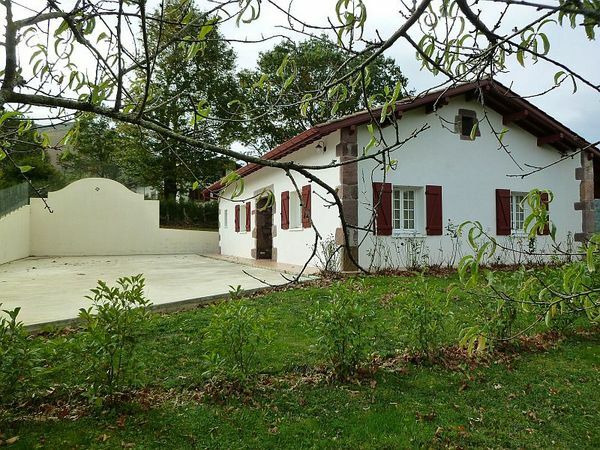 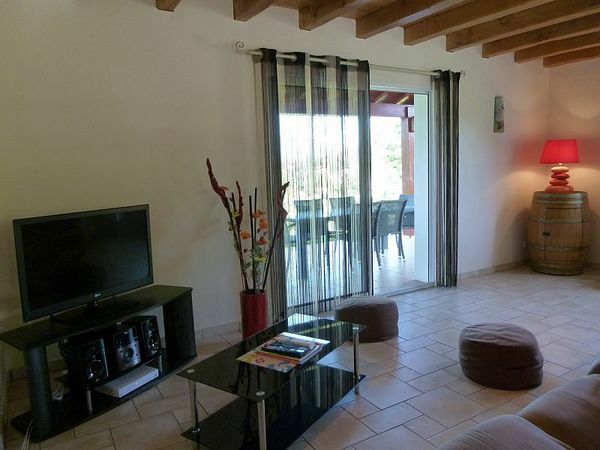 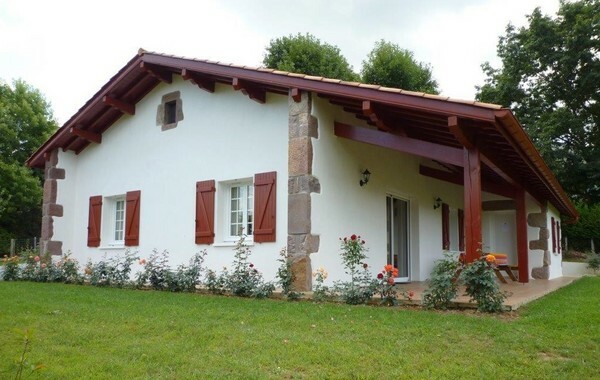 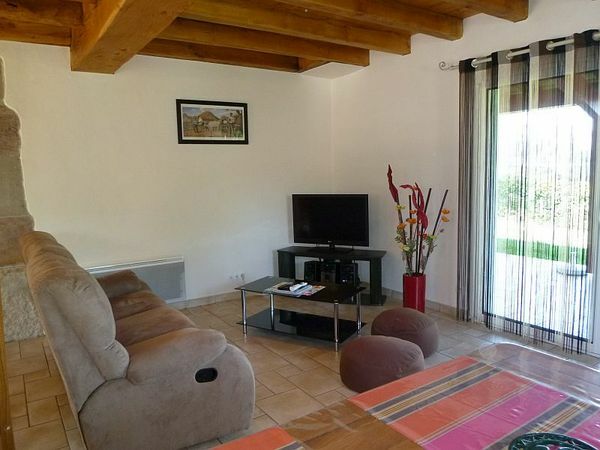 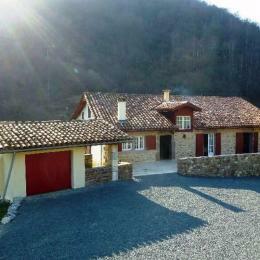 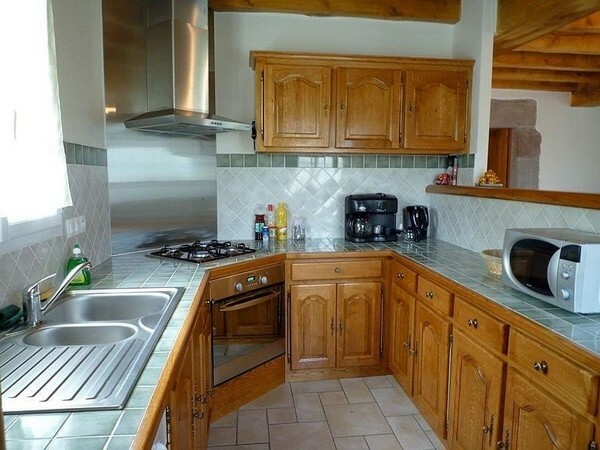 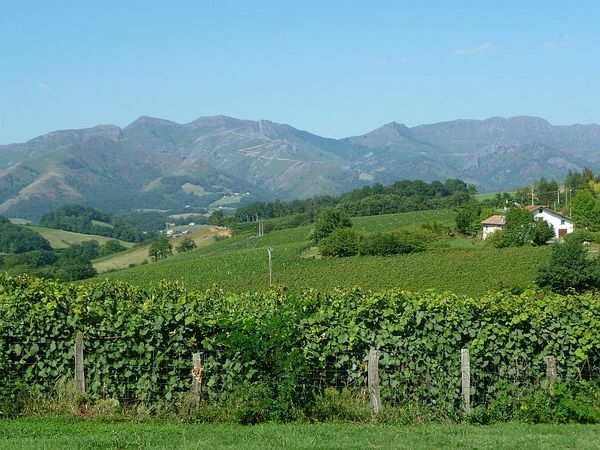 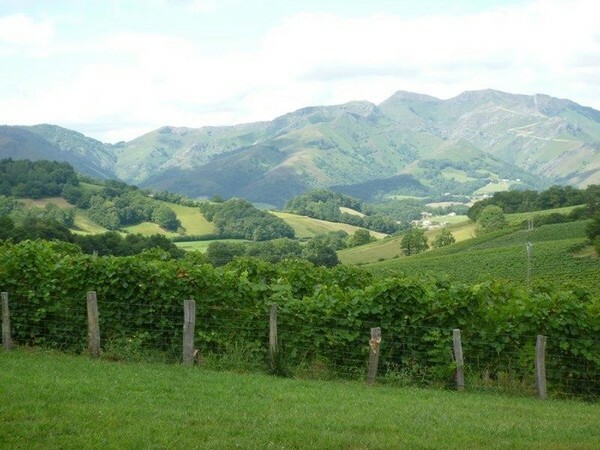 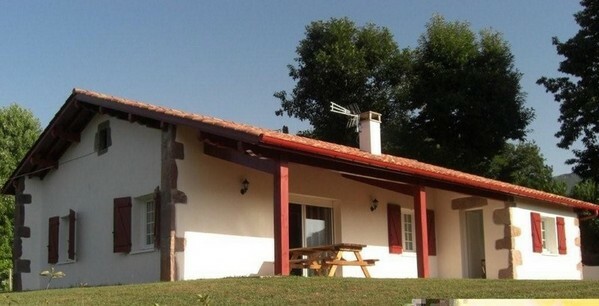 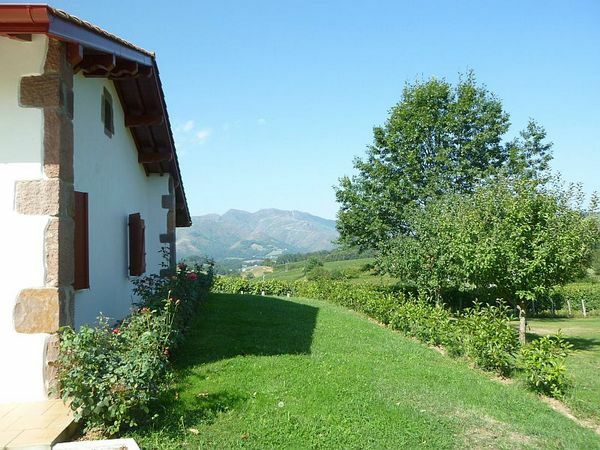 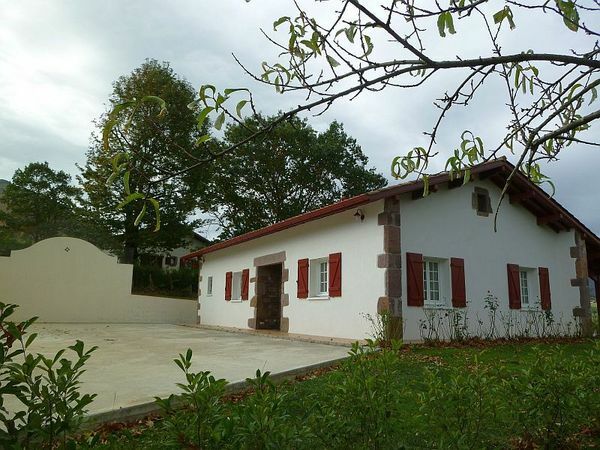 4-room detached house (110 m²) set in quiet countryside with panoramic views of Basque mountain and vines. 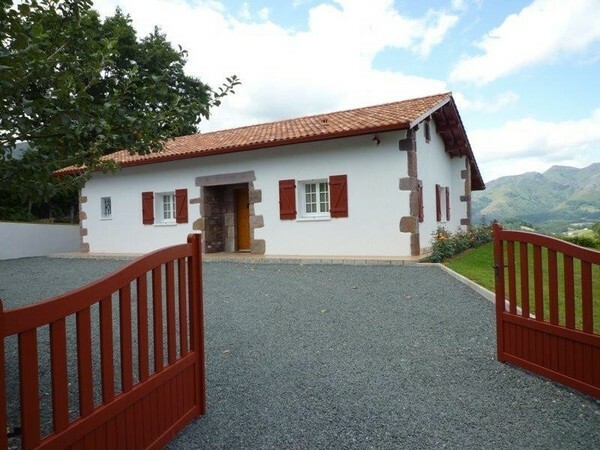 Close to hiking routes, 6 km from St Jean-Pied-de-Port (town's services and shops), 15km from Spanish border and 50km from beaches. 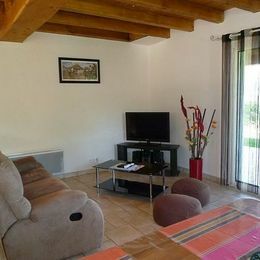 Entrance, living/sitting room with TV/DVD/Hifi, open plan kitchen + dishwasher and freezer, 2 rooms with double bed, 1 room with 2 single beds, shower room with WC and another separate WC. 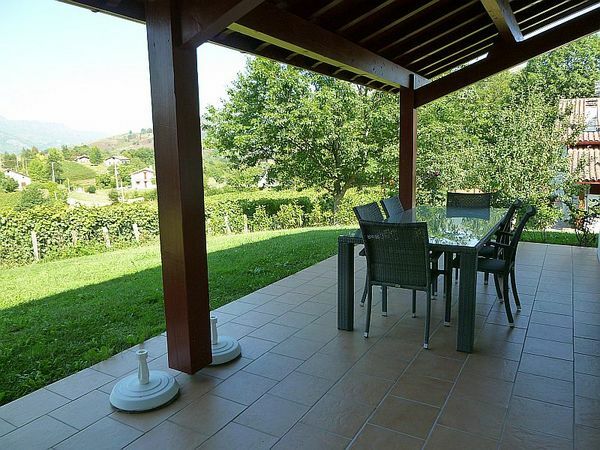 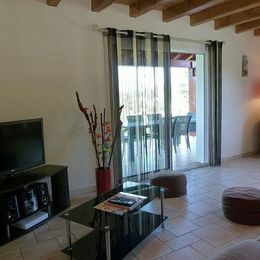 Covered terrace with garden furniture, barbecue, plancha griddle and recliners, laundry-room with washing machine, pediment and enclosed parking space. 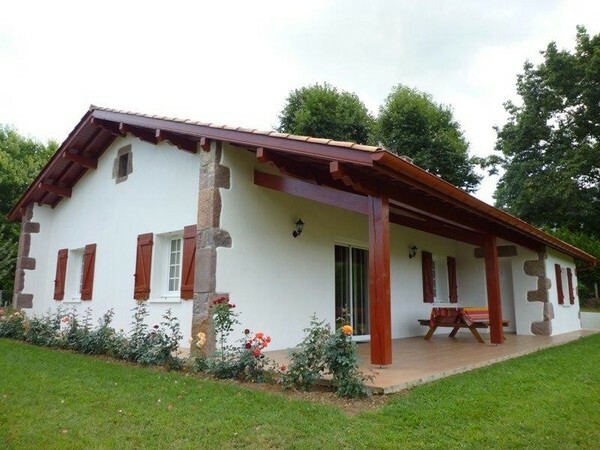 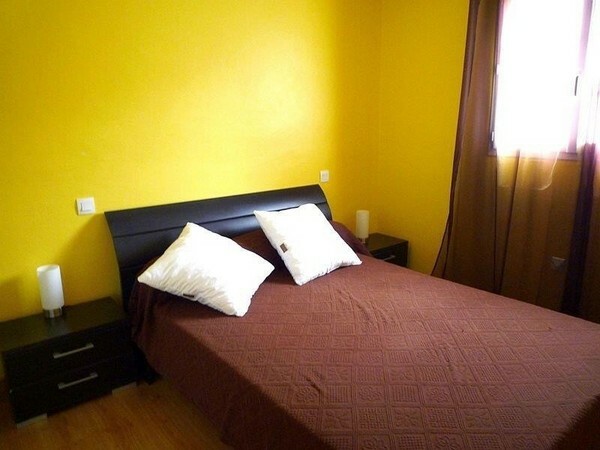 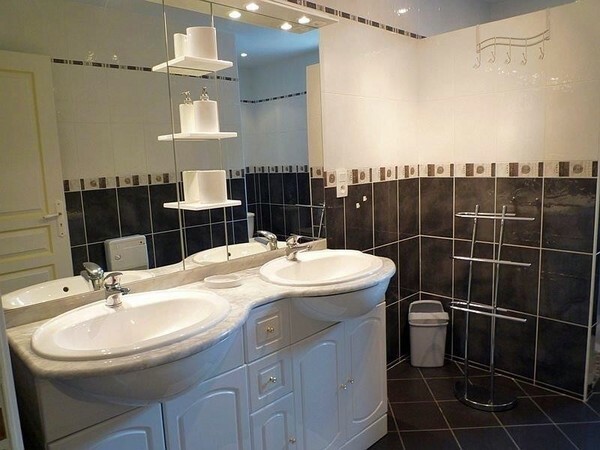 Une magnifique maison, avec tout l'équipement qu'il faut pour y être confortablement installé . 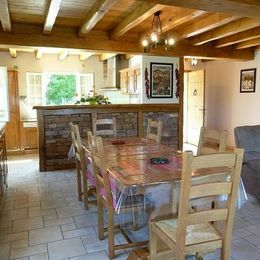 Très bien située et très calme.